Kristen Stewart debuted a new tangerine 'do on Instagram Friday. Orange you curious why? 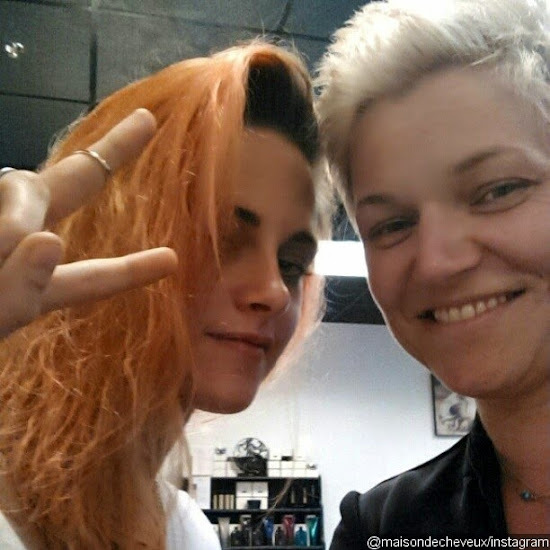 "The director of the movie told us what color to dye Kristen's hair," the owner of the salon tells Us. "[Stewart] was very sweet and cool." Tell Us: What do you think about Stewart's new hair color?